SG-Enterprise Chair: Gerald Gray Co-Chair: Mark Ortiz. 2 UCAIug IPR Policy UCAIug Public or Private Documents may or may not contain the information included in the IPR Disclosure Form. Any Sharing of any Contribution during any UCAIug Activity shall be deemed to have occurred on a non-confidential basis. No valid copyright, trade secret or patent right shall be deemed to have been waived by such Sharing Any Contributor who knows that IPR is or may be included in his Contribution to UCAIug Document must disclose such IPR UCAIug was not formed for and is unable to verify the validity of any IPR and that all such information is being provided “AS IS”. 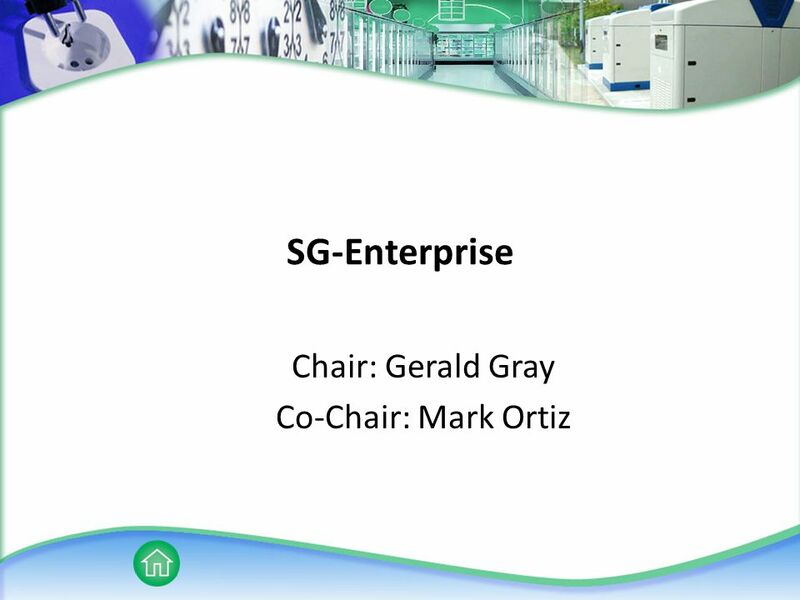 Download ppt "SG-Enterprise Chair: Gerald Gray Co-Chair: Mark Ortiz." Accelerating The Application Lifecycle. DEPLOY DEFINE DESIGN TEST DEVELOP CHANGE MANAGEMENT Application Lifecycle Management #1 in Java Meta, Giga, Gartner. Doc. : IEEE /0008r2 Submission March 2006 Steve Shellhammer, QualcommSlide 1 EC Summary of PAR Development Notice: This document has been prepared. Manchester Science Enterprise Centre Intellectual Property Dr Robert A. Phillips Manchester Science Enterprise Centre. SG-Systems Working Group Charter: The SG-Systems Working Group defines requirements, policies, and services, based on utility industry standards such as. “SG-Systems” (Smart Grid – Operational Applications Integration) “Boot Camp” Overview Greg Robinson, Co-Chair, SG-Systems Brent Hodges, Chair, SG-Systems. May 2010 Slide 1 SG Communications Boot Camp Matt Gillmore 03/07/11. Copyright  2002, Medical Present Value, Inc. All rights reserved. Copyright © 2010 Texas Education Agency. All rights reserved. TEA confidential and proprietary. Intellectual Property Rights Policy Mark Palmer – Vice Chair 24 May 2006 U NITED N ATIONS C ENTRE F OR T RADE F ACILITATION A ND E LECTRONIC B USINESS. P802.16r Small Cell Backhaul Closing Report – Session #88 [IEEE Mentor Presentation Template (Rev. 0)] Document Number: r Date. Licensing Division Reengineering Project Requirements Workshop Copyright Owners 1/26/2011. IEEE MEDIA INDEPENDENT HANDOVER DCN: Title: Document Naming Convention Date Submitted: January 2008 Presented. B usiness T echnology S olutions AMI – Advanced Metering Infrastructure Consumers Energy Mark Ortiz March 9, 2011. Functional Model Workstream 1: Functional Element Development. Requirements Engineering for Web Applications. 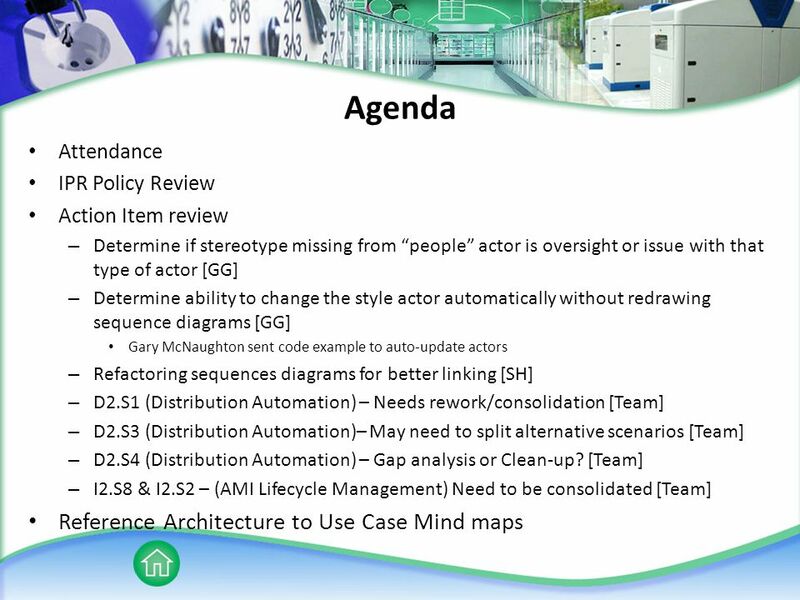 SR: System Vision Document Written by key stakeholders Written by key stakeholders An executive summary.